Your flowers are beautiful! 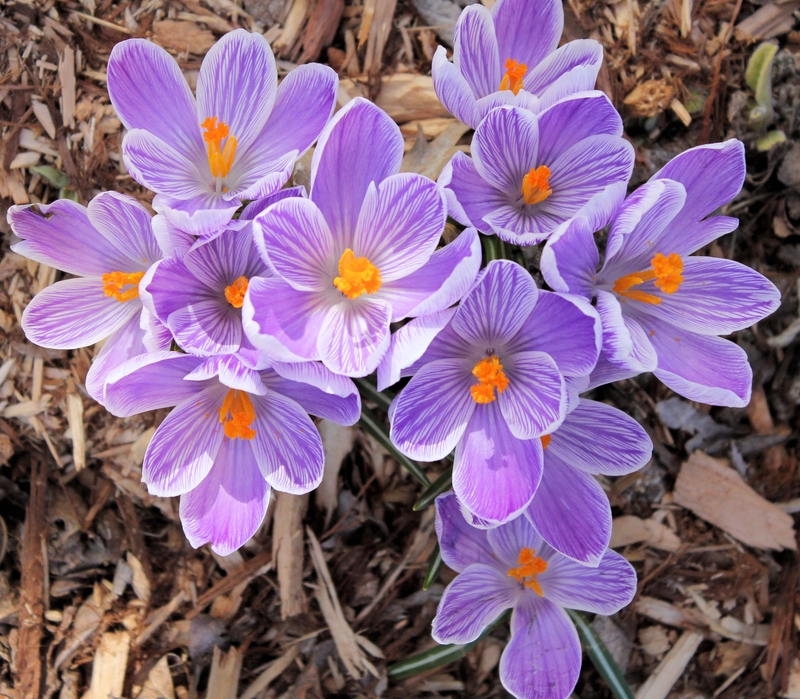 The snow just finally melted away from my crocus bed. Hopefully they will be blooming soon. Happy Easter to you! 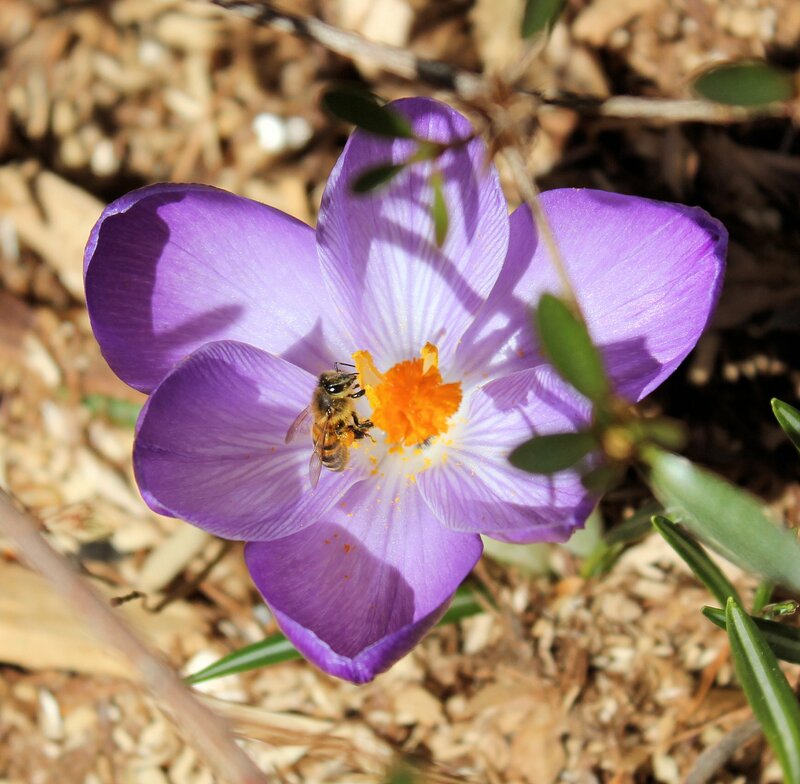 I love the bee – my crocuses are blooming, but it’s still too chilly for bees. Thank you! We keep going up and down temperature wise. 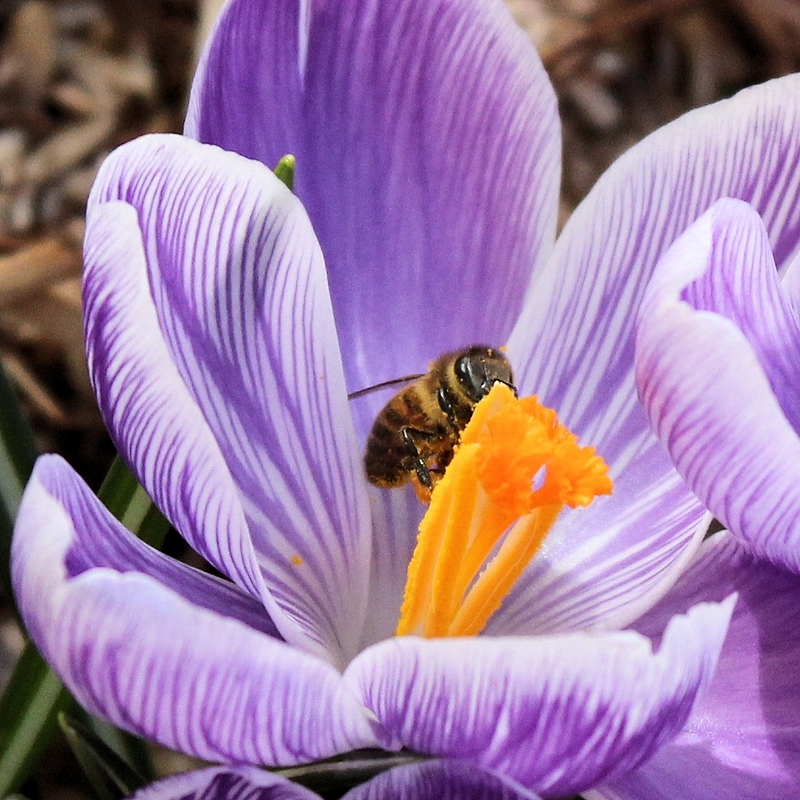 Hopefully the bees aren’t too bothered by it. I totally agree. When I first see them blooming, i’m like “Yeah!! Winter is over.” I can’t wait. BTW Happy Easter! It’s snowing today, Easter Sunday. We did have a fly wake up but I haven’t seen it since. Lovely flowers Virginia. You make us all jealous. Thank you. I hope it warms up soon for you. You are a great photographer Virginia ! Happy Easter to you too ! OOWEEDO Virginia, great spring captures. Still waiting to see green around northern Michigan. Not there yet.